Recently I rediscovered a strategy that has revolutionised my teaching; a fundamental shift in mindset resulting in enormously simplifying my planning, consistently producing lessons graded as ‘Outstanding’ and receiving overwhelmingly positive feedback from student voice in my classes. It’s not new. It’s not difficult. It is simple. 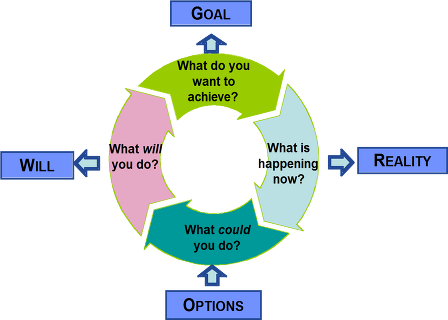 The strategy (taken from Stephen Covey’s ‘7 Habits of highly effective people’): beginning with the end in mind. I have now begun to structure the teaching of every topic/unit of work by starting with the end i.e. at KS4 and KS5, starting with sharing a possible exam question for that topic; or at KS3, starting with sharing the end of unit assessment, using these to create just one set of learning objectives for a sequence of lessons (differentiated by bands of marks in an exam question or success criteria for levelled skills and content in a KS3 assessment), rather than pandering to the misconception that every individual lesson requires a new and different learning objective. We start by deconstructing the exam question (using the opportunity to draw out prior knowledge to help in deconstructing a question for a topic they haven’t studied yet and discussing a bullet-pointed checklist of the success criteria/mark scheme for the question) or, with KS3, drawing out the skills they will need to use and what the assessment task will be. Planning and delivery of knowledge and skills for the new topic becomes so much simpler as in ‘keeping the end in mind’ we regularly return to the exam question or end of unit assessment checklist to self or peer assess how much knowledge and skill we’ve gained to be successful in completing the question or assessment. My planning has simplified because I now know that simply with a well-thought out set of learning objectives shaped by the end goal, a passionate delivery of subject knowledge and content (drawing students into this with ‘storytelling’ and deep questioning that also encourages them to link their verbal answers to the end in mind), and encouraging students to regularly assess their progress against the end in mind, I have the tools to provide my students with at least a Good lesson each time. I worried for a while that the students would be bored by starting every new topic in this same way and being so exams, or assessment, driven so I carried out some student voice work with my classes. The students love it. They say it keeps them focused, they understand how everything they learn fits in with what they will be assessed on (some students sharing horror stories with me of when they’ve had teaching where the end of unit assessment did not assess them on the skills they had been learning all term). Most importantly, the student voice revealed the sense of success the students feel as they work towards the end goal. Each time they are able to link a verbal answer to the end goal, or prove in a self or peer assessment that they have mastered the next skill or gained the next piece of knowledge towards that end goal, they feel a sense of success and can see the progress they are making. Then, when they come to the end of the topic and properly complete the exam question or end of topic assessment, students are already in a good starting place because of the way the teaching of the topic has been structured. Finally, unless they gain full, or almost full marks in their exam question, my students know that they will never be allowed to just do the question once and that they will have to redraft it again. But that, and the magic of storytelling, whatever your subject, is for another time.